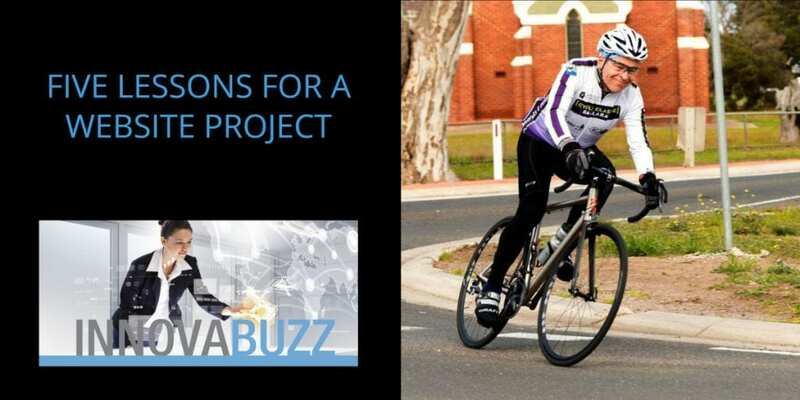 In this episode number 24 of the InnovaBuzz podcast, I reflect on competing in an individual time trial and what that can teach about a website project. Listen to the podcast to find out more about the Five Lessons for a Website Project from riding an individual time trial. Hi, I’m Jürgen Strauss from Innovabiz. Welcome to Episode No 24 of the InnovaBuzz Podcast – designed to help smart businesses with an interest in innovation and the Internet of Things become even more innovative. In this episode, I reflect on Five Lessons for a Website Project from Riding an Individual Time Trial today on my bicycle. Stay tuned for the podcast, to learn the details. This podcast is sponsored by Innovabiz, where we help smart, innovative business owners save time and money and grow their business by making their websites achieve more. Of course, at Innovabiz, we do more than just build websites – we provide solutions to our clients’ needs by leveraging the power of the internet in innovative ways. If you want to learn more, then go to innovabiz.com.au or contact me directly through the contact information there. We also invite you to get our Smart Website Blueprint, that is now available from our website – you can get it from the link underneath this post. Now, let’s get into the Innovation Hive and find out what lessons I took out of today’s individual time trial that are relevant for websites. Today I competed in the Lara Latte Cycle Group’s 6 monthly Individual Time Trial event and as I rode around the circuit, straining to achieve a good time, it occurred to me that the strategy for executing the time trial ride was a lot like executing website strategy. How are those disparate things related, I hear you ask? To show you, let me first give you some background. Cycling’s individual time trial is often referred to as the “race of truth” as winning depends only on each rider’s strength and endurance, and not on help provided by team-mates and others riding ahead and creating a slipstream. Each cyclist races alone against the clock, aiming to achieve the fastest possible time to ride a given circuit. In our case, it was an open, relatively flat circuit of 20.5 km, and I had targeted a completion time of 40:48 or better, requiring an average speed of 30 kmh or more. Just like with a website project, I had a clearly defined and measurable goal for the time trial – at the end of the ride, I would know if I’d achieved my target and along the ride, using my cycle computer, I could monitor my progress by watching some key indicators. So the first similarity between my individual time trial race and a website project, is that both have a clearly defined goal that is measurable and achievable. OR SHOULD HAVE! I was the second rider to start, so had a rider in front of me (a minute ahead on the road) and riders following at one minute intervals at the start times. My cycle computer was set to allow me to constantly check my current speed, my average speed, my pedal cadence and my heart rate. These were my key indicators – average speed needed to be 30 kmh or better, my ideal pedal cadence for optimum efficiency so that I could maintain high effort for the longest possible time was 90-100 pedal strokes per minute, heart rate needed to be around 150 – 170 bpm maximum. As I rode around the course, there was a great temptation to push really hard to catch the rider in front of me. I had to keep reminding myself, that the goal was to complete the circuit in a time that translated to a 30 kmh + average speed and NOT to catch the rider that started a minute in front of me and cross the finish line ahead of him. Another lesson for the website project – focus on the RIGHT goal, don’t get distracted by some “other” competition. In the website “race”, that other competition is usually getting to number 1 position on Google. So many people focus their attention with their website on getting top ranking in Google, and lose sight of more important goals, which might be to generate new leads or get sales from their website or grow their list or build their reputation with quality content! Measuring the right things is also important for your website. Just like I was focussed on measuring a few key indicators that would show me clearly whether I was on track to achieve my goal, so it is important to measure key indicators for our website. Using Google Analytics on our website, allows us to track a great variety of parameters, even conduct experiments whether a particular page feature will generate more of the desired outcomes than another. We should be using this tool on an ongoing basis, to track our website progress towards our desired goal. As I settled into a good cycling rhythm early in my individual time trial race, watching the key indicators on my cycle computer, I focused on good execution. In my case, that was a smooth cycling stroke, an efficient cadence, keeping an aerodynamic shape on the bicycle to minimise wind drag and steady, deep breathing to get plenty of oxygen circulating to those hard working muscles. Just like with our website project, having set a clear and measurable goal, having tools to measure the right indicators in place allows us then to focus on execution. Executing those website strategies and tactics that will lead to us achieving our goal. I continued the ride, watching my speed, cadence and heart rate indicators – all was on track. The longer the ride progressed, the more tired my legs became, and the greater seemed to be the temptation to put in a big spurt and try to catch that rider in front. But each time that temptation came, I reminded myself about the real goal, and checked all the indicators, to see if I was on track to reach that goal. All good – let go of that “no. 1 Google ranking” and achieve the real goal! As I began to tire, my speed started to drop, my breathing became more shallow and my heart rate rose. So I adjusted; I was above my average speed, so I could afford to back off a little, on the effort, recover my breath and lower my heart rate, to ensure I could maintain enough effort to the end of the ride, so that the goal was achieved. As with my individual time trial, executing a website project to achieve a specific goal or outcome, will require adjusting things along the way, to ensure that in the long run, we achieve our goal. I think by now, you can see how my individual time trial event reminded my of conducting a website strategy, and I hope you feel inspired to take on these key lessons in your tactics. Oh, the result, you ask? I completed the 20.5 km course in a time of 39:32 with an average speed of 30.9 kmh. Mission accomplished! Now to allow those tired legs to recover, and train harder to improve on that result in 6 months time. Yes, just like a cycling result, a website is never “finished” and we should always be looking at the results and then setting new, more challenging goals and re-set our strategies and tactics to achieve those new goals. Of course, even though the individual time trial event was physically quite strenuous, it was great fun to do. 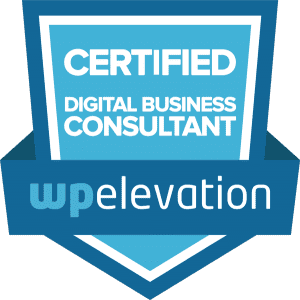 So – bonus tip: Have fun with your website journey! I hope you enjoyed you enjoyed this episode of the Innovabuzz podcast! All the show notes for this episode will be at innovabiz.com.au/itt, that is I-T-T, all lowercase, innovabiz.com.au/itt. I’d love you to leave some comments under the post, telling us what you think of today’s story and the analogy. Do you have similar experiences that remind you of executing a good website strategy? Great broadcast Jurgen! And well done on your time trial!